Kathmandu, May 23rd, 2016: Syakar Trading Pvt. Ltd. (STC), authorized distributor for Honda cars in Nepal, today introduced the New Honda Amaze with Bold New exterior styling, One Class Above premium interiors and several New-Age features. The new Amaze now comes equipped with the Continuously Variable Transmission (CVT), and becomes the first petrol car in its class to offer advanced CVT technology. The new Amaze gives a bolder and wider stance from the front. The newly designed Front Bumper and Dual Chrome Front Grill, coupled with New Classy Rear Combination Lights further highlights the exterior styling giving a new look to the car. The advanced and superior CVT technology from the Earth Dreams Technology series, introduced in new Amaze, will provide better drivability as compared to the conventional automatics, higher fuel economy than Manual Transmission, along with added Comfort and Convenience of an Automatic. The 1.2 L i-VTEC petrol CVT variant of Honda Amaze gives an impressive fuel economy of 18.1 km/l as per test data provided by Honda Cars, India. Loaded with new & advanced features like Integrated Bluetooth Audio System with Hands Free Telephone (HFT) & Mobile Phone Audio Streaming gives an engaging ride. The Automatic Air Conditioner with a neat knob-less design and digital display offers a very premium feel to the interiors. Big Screen Digital Display with Digital AC controls for a uniform premium look inside the car. The driver can monitor all important trip and vehicle information including Driving Range, Instantaneous and Average Fuel Efficiency, Ambient Temperature and Time from the Multi Information Display (MID). This allows the driver to easily and safely monitor speed, time and fuel consumption levels while driving. The car was introduced at a formal meet held at Honda Cars showroom, Dhobighat amidst media and invitees where Mr. Saurabh Jyoti, Chairman for STC unveiled the curtains. During the event it was stated that the car is expected to meet the market need here in Nepal and will be best fitted for the roads here. will be available in S and VX petrol grades. The New Amaze will be available in 7 colors – New and Exclusive Bluish Titanium Metallic, Carnelian Red Pearl, Urban Titanium Metallic, Alabaster Silver Metallic, Golden Brown Metallic, Taffeta White and Orchid White Pearl. 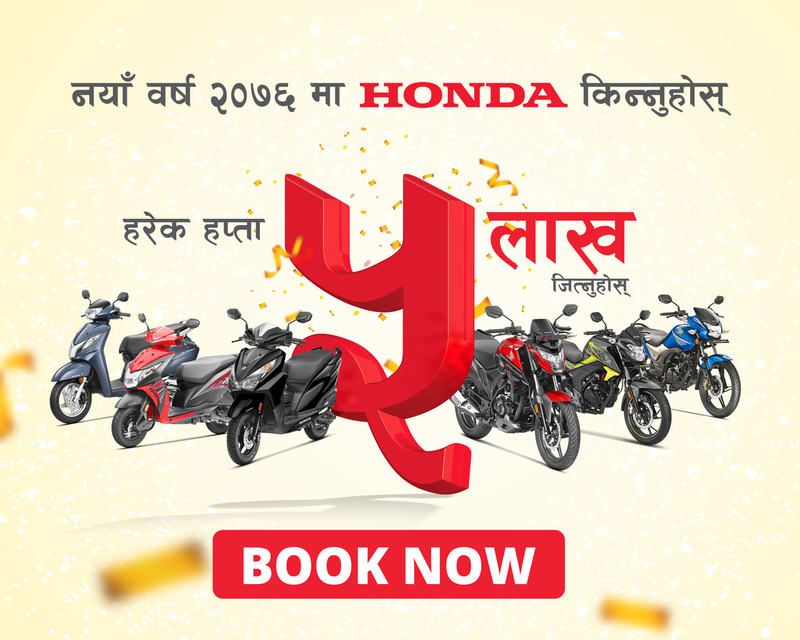 Explore Honda Amaze now.